I come at Elementary from a unique perspective: as someone who watched this Sherlock Holmes adaptation before seeing a single episode of Sherlock and who is not as fanatical about either the CBS show, the BBC series or its star Benedict Cumberbatch as some of Sherlock's more ardent viewers (some of whom, I understand, believe Steven Moffat and Mark Gatiss created the detective, hence their fury at CBS for 'ripping off' THEIR character...'their' meaning either Moffat/Gatiss or the Sherlock fans themselves). I do have one disadvantage on the Elementary/Sherlock debate: I Hate Steven Moffat. He has in my view destroyed Doctor Who to where that show (once my favorite) is a pathetic, illogical, and recurring-character centered show: the Silurian Madame Vastra and her human lesbian lover Jenny and the sexually ravenous and self-absorbed (probably psychotic) River Song are the focus of many Doctor Who stories, while the actual Time Lord is reduced to a bumbling idiot who defers to them, not the other way round. Therefore, I might be predisposed to dismiss Sherlock and its hard-core fans, but in fairness I can't dismiss a program I haven't seen (and actually, I dismiss hard-core fans of ANY series...never understood the fanaticism for Lost or The Walking Dead, or even NuWho). With that being said, I hope that Sherlock fans will similarly not be predisposed to hate Elementary without A.) watching it in its entirety, and B.) accepting that they are horses of different colors. Elementary and Sherlock, I believe, can peacefully co-exist because they are different breeds of shows. I can't say Elementary is better than Sherlock or vice-versa. There may individual moments in one or the other that are better, there may be individual performances in one or the other that are better, but on the whole I think Elementary is a splendid series, an opinion shared by the American people. 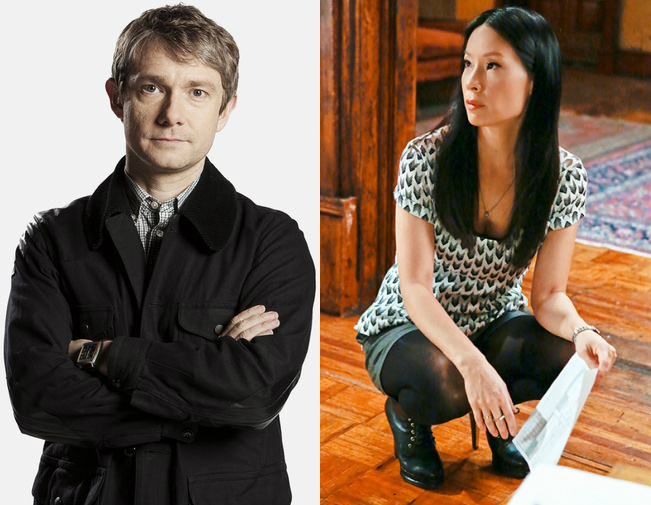 Elementary is the only debut series this season to be in the Top Twenty Shows of 2012-2013. Some other more touted shows (Vegas, The New Normal, Last Resort, Zero Hour, Golden Boy) flat-out bombed or failed to pull enough of an audience to give it a second season. Granted, some lousy shows managed to survive (Rules of Engagement managed to hold on for a shocking seven years, still a mystery to the world), but on the whole, I think Elementary did well with audiences because you've got an established figure they've heard of who was contemporized well, some remarkable pieces of acting, great interplay between the leads, and some brilliant stories (OK, not all Elementary episodes were brilliant, but I defy anyone to find a television series that bat .1000 every time, not even I imagine Sherlock). Still, I digress. First things first, the Official Ranking of Elementary Episodes: Best to Worst. Of all the Elementary episodes, M. is simply the most thrilling. If Elementary had flopped (sorry, Sherlock fans, it didn't), this would have been the finale, and what an amazing end to a series it would have been. 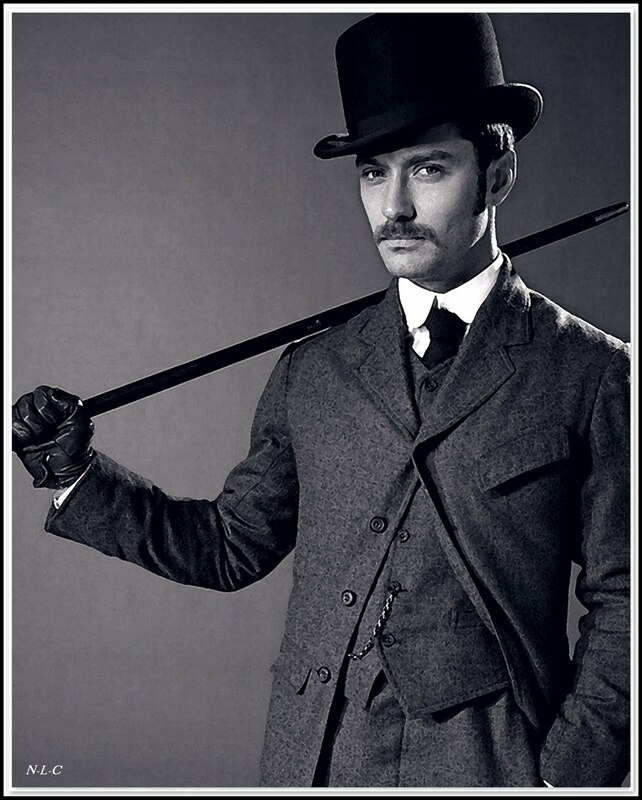 It had an intense story of a Holmes rarely seen: a man totally driven by rage and revenge, not the cold, logical thinking machine, with Holmes' archenemy Moriarty at the center of the web, one that consumed his great love Irene Adler. The performances were all brilliant. 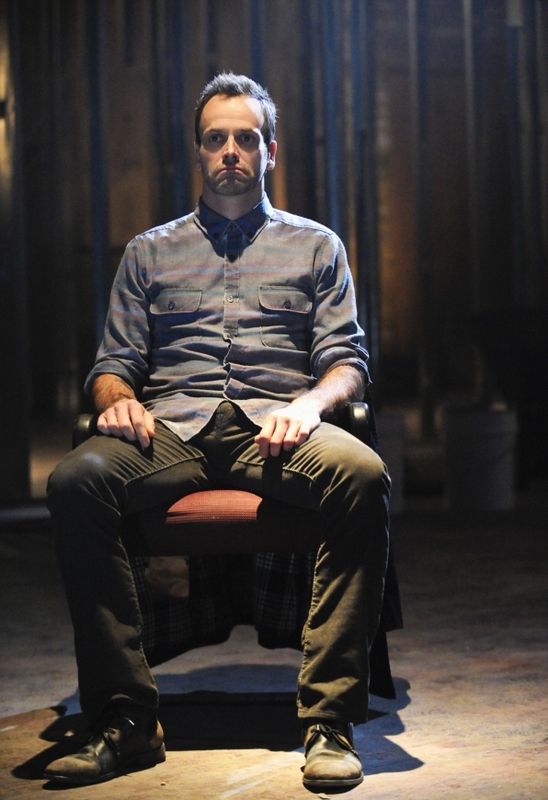 Jonny Lee Miller was frightening in his fury, heartbreaking in his loss. Lucy Liu, who might have been seen as stunt casting as Dr. Joan Watson, was something most (not all, but most) Watsons are not allowed to be: someone of high intelligence but who is not as offbeat as Holmes. We see she is a person who is highly concerned for Holmes' safety (and perhaps, sanity), but also one who is able to figure out where Holmes might be by using his own methods. Aidan Quinn's Captain Gregson (how's that for somewhat obscure Canon references...if I hadn't reread A Study in Scarlet for both Elementary and A Study in Pink I would have missed it altogether) was both honest cop and genuine friend to Holmes. M. is the episode that Miller should submit for Emmy consideration, and I think highly of The Rat Race as well. It's nice to see Sherlock knocked down a peg by his own ego and Watson put things together. Child Predator gave one a real twist that was completely unexpected (along with a great performance by guest star Johnny Simmons). The average Elementary score was 7.65, which means that most episodes were good to great. Some got extra points thanks to great performances (such as guest stars Natalie Dormer, F. Murray Abraham, and Candis Kayne). Some, however, are pretty forgettable. Such is the case with Possibility Two. I'm hard-pressed to recall a thing about it. One Way To Get Off is one I do remember, but for the wrong reasons: I was able to solve the case before the half-hour mark. However, I think Elementary had more hits and misses, and that is because the show was not as focused on the cases (though some, like Child Predator, were brilliant), but on the characters themselves. Sherlock Holmes is eccentric, sometimes maddening, sometimes egocentric and incapable of 'normal' human behavior, but he is also a recovering drug addict (personally I figured it should have been cocaine to stay with Canon, but I can't have it all). In some of the better episodes, his struggle for sobriety is a driving force. Also, the relationship between Holmes and Watson is a growing one, built on respect, admiration, and budding friendship. Despite what some people feared, there isn't a suggestion of romance between Joan and Sherlock (and if there ever is, I'll quit watching). It isn't a relationship of equals (Sherlock will always be the sharpest man in the room) but Joan is able to hold her own against him, even on occasion coming to correct conclusions. She's far from the Nigel Bruce version of Dr. Watson: she's nobody's stooge or mere sounding board. Now we come to those pesky comparisons, which frankly I'm going to skim over real quick. 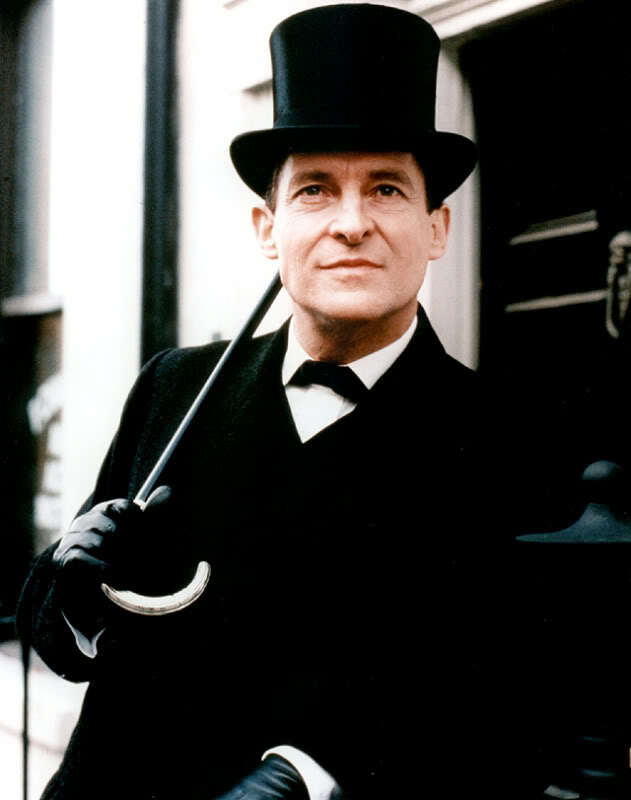 Again, given that I've seen only one Sherlock episode, I am in no position to say which version of the Sherlock Holmes series, or which Sherlock Holmes or Dr. Watson actor is better. However, I think highly of Miller's Holmes: bright, focused on the investigation but having bits of humor (his new pet turtle is a delight) and am slowly building up a resistance to Cumberbatch only because the hard-core fanbase thinks he's unassailable. Also, frankly I am leaning more towards Liu's Watson than Freeman's version. While there's comedy in Elementary (and I figure there must be some in Sherlock), I get the sense that Freeman is more in the Bruce mold (a bit of a bumbler...he certainly looked at times flummoxed and perplexed as to what was going on in A Study in Pink) while Liu appeared to make Watson a bright ex-physician who could put things together. As for the inevitable Elephant in the Room: Elementary Vs. Sherlock, I really don't see why there has to be a competition. They are two different things: the former an American series that has to stretch a season's worth of stories over many episodes, the latter more of a series of specials that has to be compressed over a shorter period of time. However, I refuse to say that one can't enjoy both. I certainly look forward to plunging more into Sherlock and Season Two of Elementary. Both I believe work IN THEIR OWN WAY. Therefore, let us put aside this petty rivalry and enjoy the Great Detective come again to the English-speaking world's attention. I believe true Sherlockians, Holmesians, or what have you, can find great enjoyment in seeing The Master Detective rule the airwaves on two successful and critically acclaimed television series on both sides of the Atlantic. Why do we have to fight at all? I think only those passionately devoted to either Sherlock or Elementary will every see this as some sort of battle royale. For those of us who grew up idolizing Sherlock Holmes (say, for example, taking up the violin with limited results...though even now I'm sure I can play it better than Benny or Jonny...if I was talking about me, of course), I think Sherlock and Elementary can be appreciated and enjoyed on their own merits. Both can be winners in my book, and I think there can never be too much Sherlock Holmes. Finally on this topic, if I have contributed to the rivalry, I officially recant. Besides, for myself the Battle for Best Sherlock Holmes has already been won; sorry Benny, sorry Jonny. Similarly, the Title of Best Dr. Watson has found a winner. No offense Lucy or Marty. With that, here are my final judgments on Elementary: Season One. Most episodes were good to great. The cases did sometimes take a backseat to character development, but when it fired on all cylinders Elementary gave us brilliant episodes. Jonny Lee Miller is a good to great Sherlock Holmes. Lucy Liu makes for one of the better to best Dr. Watsons and sometimes steals the show from Miller. The guest stars were in some cases brilliant (the aforementioned as well as Vinnie Jones' Colonel Sebastian Moran) and were the real draws to certain episodes. Sherlock Holmes needs to play the violin more, or at least pluck the strings. Ms. Hudson needs to return or be a semi-recurring character. Ato Essandoho's Alfredo (Sherlock's sponsor) also needs to make more appearances. Captain Gregson and Jon Michael Hill's Detective Bell are great additions who should not be discarded anytime soon. More Canonical references please (The Hound of the Vasquezes, anyone? ).